That's cool. Just for context: he's filming Adam Sandler's upcoming comedy special for Netflix. I like the way PTA's visual style, in stuff like his first Haim video ("Right Now"), and certain Radiohead ones ("Present Tense," "The Numbers") is just super clean, calm, and crisp. I wonder if he'll adopt the same approach for this new project? It's like...in that Haim video, one might think, at first glance, that it's kind of sedate in terms of the look and the camera movement, but those illusions quickly disperse because it just moves so thoughtfully. Everything is so wonderfully precise -- all those lateral movements and the visual layers and the numerous nicely observed or well-timed bits. Lots of energy and humanity in that video. So, yeah, I'm curious to see this develop through a comedy special. Location constraints make him do some interesting things, and also give him an opportunity to just patiently zero in on one of his favourite things: close-ups. A certain visual modesty becomes its own radical gesture...I think that's partly what PTA's up to with some of these projects, anyway. Directing, sure. But running camera? I wonder why? (Other than the Fun Factor.) And a film camera?? Would even HBO spend film money to shoot an Adam Sandler standup special?? An IndieWire article, with not a lot of add'l info. And /Film. Would even HBO spend film money to shoot an Adam Sandler standup special?? Netflix is spending $8 Billion-with-a-B on original content this year. If PTA wanted film for the Sandman I doubt it was even a debate. I get the sense that PTA has taken a page from Demme's book and decided to just do tons of side projects (non-feature film projects). I don't know too much about Demme's history, but it's possible he did his side projects because he had to in order to pay the bills, or maybe for fun, or both, or other reasons. 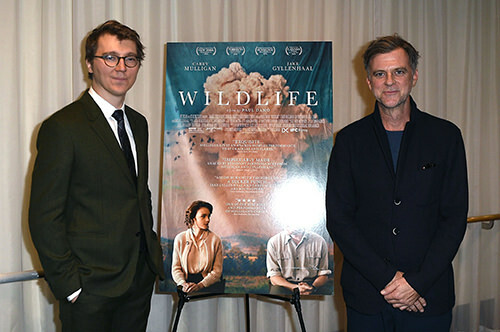 Listening to PTA's interviews gives me the sense that Paul himself is so enthusiastic about film making, whether feature-length or otherwise, and also aware of his mortality, and thus just wants to enjoy and do all he can while he can, and Demme is a filmmaker that he respects and has shown him it's possible to things that way. All this is to say that I think PTA enjoys the benefits of being free to call up a friend like Adam and to slip into a fun role like camera operator, all while keeping a fresh perspective on filming, meeting new challenges and situations, and expanding his skill set/continuing to learn. Maybe, maybe not. Oh, and why film? PTA pretty much only shoots film. If you mean why would Netflix or whoever is putting out the money want to shell out the cash for film, I'm not sure it costs more than digital (can't really say because I don't know), and it's probably pocket change relative to their giant stacks ... so if PTA wants to shoot film, Sure, go ahead. It was! Shot on Blackmagic Pocket and GoPro drone. Still not clear what is his role in that but my wild guess would be it's more about testing different stuff as DoP the way Junun and all the recent music videos were tests of he could handle PT without "proper" DoP. That's disappointing news. I guess he's just sort of a co-director for this one? What does that have to do with PTA? "...Bill sits down with actor John C. Reilly to discuss his journey from the south side of Chicago to the silver screen. Then they talk about working with the great Paul Thomas Anderson, 'Step Brothers', 'Boogie Nights', Reilly's new film 'The Sisters Brothers', and more (32:30)." 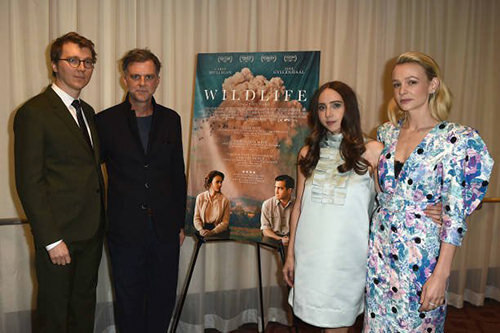 Paul Dano, PTA, Zoe Kazan, and Carey Mulligan at the premiere of WILDLIFE, Oct 9, 2018, Los Angeles. It's good, and they actually talk a lot about PTA through out the whole interview, starts at 32.30.